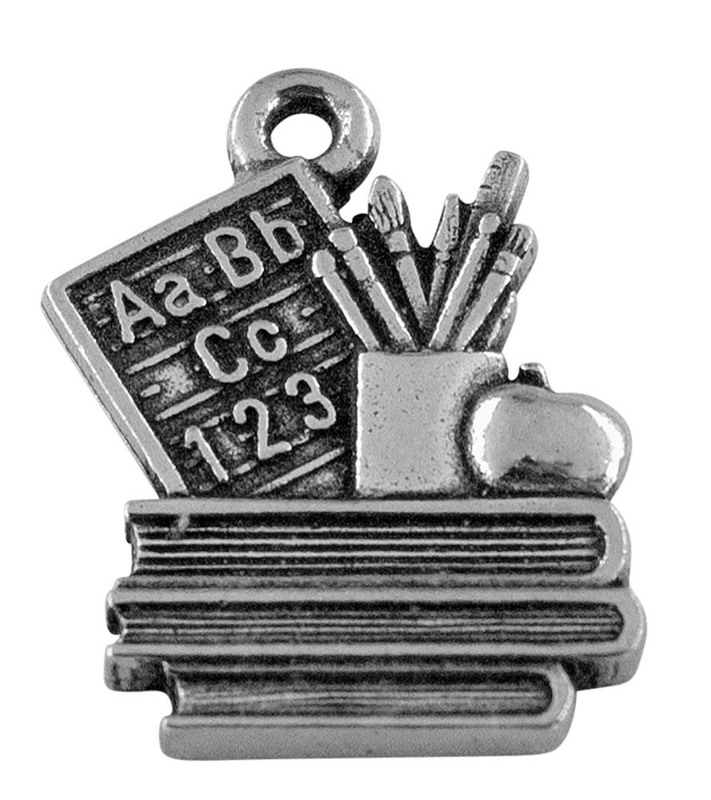 Our teacher charm is hand cast and beautifully crafted for the special teacher in your life. 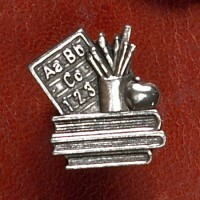 Teachers work hard to inspire students and create excitement for learning. 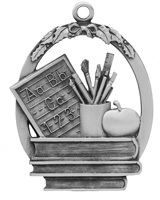 Thank them for giving of themselves to educate our youth! 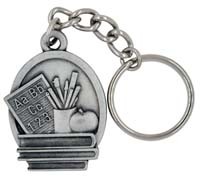 This charm depicts typical items found on a teacher's desk: a pile of books, a chalkboard/whiteboard with alphabet letters being practiced, an apple, and a collection of pens, pencils, rulers, and paint brushes. 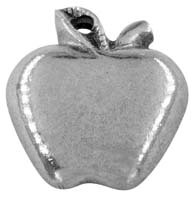 This charm can be worn on a charm bracelet, earrings, necklace, or zipper pull.